Columbia, MD – April 8, 2015 – SolarWindow Technologies, Inc. (OTCQB: WNDW), today announced that engineers and research scientists at the University of North Carolina Charlotte Energy Production and Infrastructure Center (UNCC-EPIC) have independently reviewed and validated the Company’s SolarWindow™ proprietary Power Production and Financial Model. This Model calculates a financial payback of less than one year for the Company’s transparent electricity-generating SolarWindow™ technology. “SolarWindow™ coatings, when installed on tall towers and skyscrapers, could serve as a much sought-after clean micro-grid energy solution,” explained Mr. David Causey, PE, Assistant Director at UNCC-EPIC, The William States Lee College of Engineering. 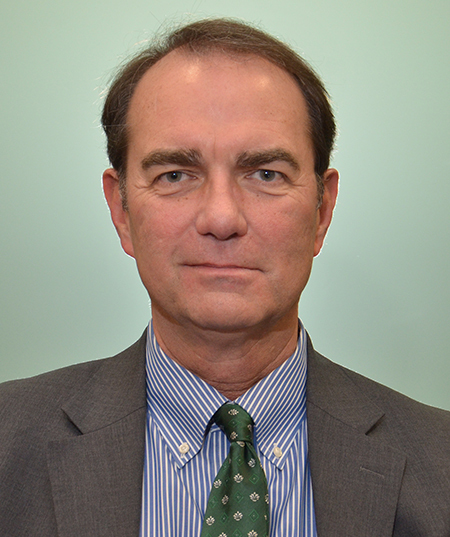 Mr. Causey has over 30 years of experience in mechanical system and component design for power generation. His work as an engineer includes operating nuclear plants; and coal, natural gas, or renewable energy projects. Mr. Causey led his UNCC-EPIC team of engineering and science experts, who independently validated the modeling assumptions, reference data, and technical basis important to calculating the Company’s one-year financial payback period for SolarWindow™ systems. UNCC-EPIC validation also confirmed the proficiency of the Company’s methodology for modeling the performance of competing PV technologies. Compared to conventional rooftop solar systems, SolarWindow™ technology installed on a 50-story building could generate up to 50-times greater power while delivering 15-times the environmental benefits, according to Company engineers. For conventional solar systems to produce the equivalent amount of power as SolarWindow™ would require at least 10-12 acres of valuable urban land at least 5-11 years for payback. SolarWindow’s calculated payback of less than one year is the industry’s fastest published financial return. “The calculated rapid rate of return for SolarWindow™ systems offers a strong financial incentive to potential customers seeking quick payback while substantially meeting their power requirements with a clean, renewable source of electricity,” explained Mr. Kenneth Schuckers, CPA, an expert in renewable energy tax credits. Mr. Schuckers contributed important energy and corporate tax know-how to development of the SolarWindow™ Financial Model. Ken Schuckers has 20-plus years of corporate tax experience with over a decade focused on R&D and other federal tax credits and incentives. His credentials include Deloitte & Touche, LLP (Corporate Tax Services), and Partner at Grant Thornton, LLP (R&D and Section 199 Practice Leader). “SolarWindow’s modeling of a rapid one-year payback and today’s independent validation establish our leadership role in the renewable energy space,” explained Mr. John A. Conklin, President and CEO of SolarWindow Technologies, Inc.
SolarWindow™ transparent window coatings are under development for the estimated 85 million commercial buildings and detached homes in the United States. SolarWindow™ technology has been demonstrated to U.S. Congress on Capitol Hill and is recipient of the 2013 Energy Innovation Award, recognized as the most promising global energy project of the year. The Energy Production and Infrastructure Center (EPIC) at UNC Charlotte was formed in response to the need from industry to supply highly trained engineers qualified to meet the demands of the energy industry – through traditional and continuing education, and provide sustainable support the Carolina energy industry by increasing capacity and support for applied research. EPIC is a highly collaborative industry/education partnership that produces a technical workforce, advancements in technology for the global energy industry while supporting the Carolinas’ multi-state economic and energy security. With industry encouragement and support from the North Carolina General Assembly, EPIC was formed to meet growing demands for highly trained power and energy professionals, and create innovative solutions that promote affordable, sustainable energy supplies. EPIC is charged with leading workforce, economic, and technology development efforts to support the Carolinas and the global energy industry. EPIC works in conjunction with industry sponsors, UNC Charlotte’s Lee College of Engineering and Belk College of Business to expand energy engineering in the classroom. Our energy programs go beyond technical skills and pure engineering. Energy concentrations include topics such as project management, business acumen, collaborative teamwork, risk analysis and leadership. Currently, there are nearly 75 EPIC faculty members collaborating with students and industry partners.